A beautiful and fanciful way to relieve stress! 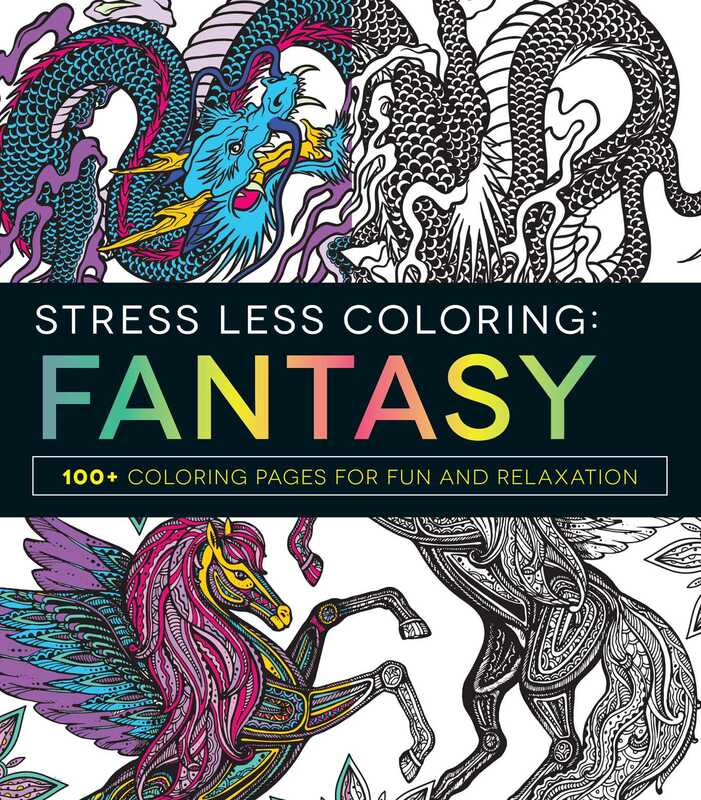 Stress Less Coloring - Fantasy will inspire you to find peace and relaxation in the beauty of mythical creatures. By concentrating on coloring and shading any of the 100 stunning fantastical designs, you'll calm your mind in a creative, relaxing, and therapeutic way. From magical mermaids and ethereal fairies to unicorns and other fantastic creatures, each stress-reducing page invites you to express yourself using your own unique palette to decorate the designs. As you bring color to paper, you'll be able to release any tension you may be feeling and enjoy each soothing moment. Whether you're new to art therapy or have been coloring for years, you'll find inner calm and creativity--one page at a time.